Do you know what to do if a zombie comes for you? 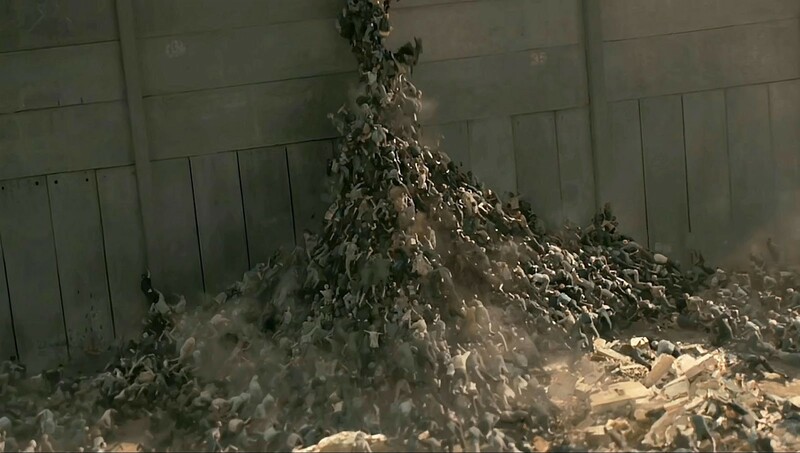 What about a zombie horde? 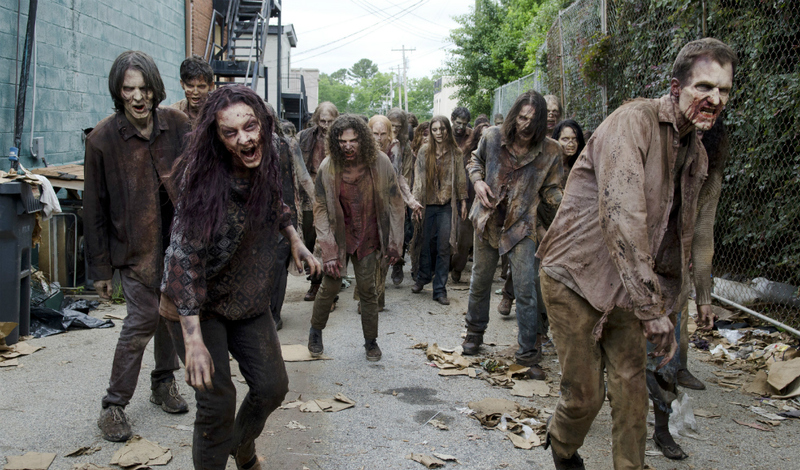 Should you be preparing yourself for the zombie apocalypse? 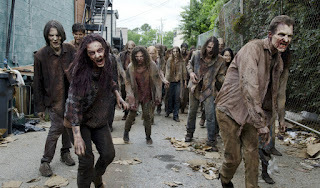 Zombies can be traced back most often to Haitian vodou/voodoo. Put in a simplified way, in voodoo tradition, someone can sprinkle you with zombie powder, which will make you sick and kill you - dead and buried. The voodoo bokor (sorcerer) will come to your grave, sprinkle something else and you will rise from your grave and spend the rest of your so-called "life" as a slave to the bokor's commands until your dry up and your limbs fall off and you're dead for real this time. Though there is not one verified account of a voodoo zombie, voodoo practitioners believe in zombification and Hollywood has capitalized on that belief. There is little of voodoo zombies in modern Hollywood. When we think of zombies now we really are afraid of virus-infected enraged people, sometimes dead (or undead), sometimes alive. 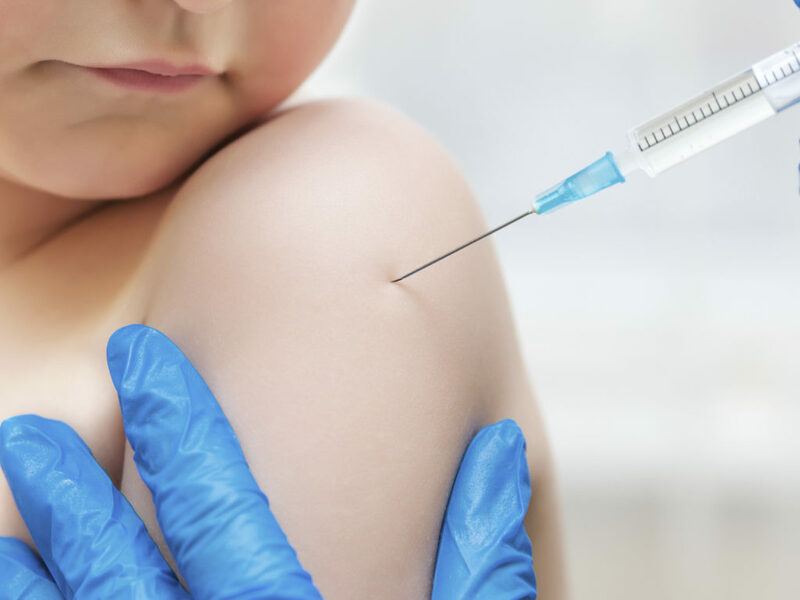 Sometimes super-fast, sometimes super slow, but in every scenario the cause is some type of virus or parasite or toxic and it is rapidly infectious. Could a virus really wreck us like that? Should you and your family prepare an escape plan, maybe buy a remote cottage (mountainous terrain always seem safer in movies), stock up on canned food and ammunition to combat a possible horde? To this day there is no known way that a dead person can be reanimated. Viruses or diseases can spread like a pandemic, especially in crowded places. It has happened with the "Black Death" or Great Plague that wiped out a whooping 50-60% of European population (20-25 million) in the middle ages. That outbreak spread quickly due to the crowded and unsanitary conditions that people lived in. And this too happens nowadays: the flu, salmonella, bird flue, Spanish flu, rabies, foot-and-mouth-disease... 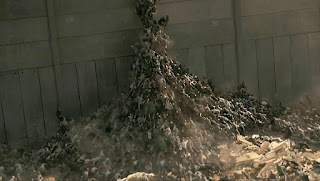 They spread quickly already and they kill. But they ARE contained, they do not reanimate the dead, and they do not take over your brain. There is no virus or disease that has been shown to act like zombies, turning humans or dead people into mindless or raging killers. Sanitary conditions and medicines are way more advanced than in the middle ages. Sure, many people still live in poor conditions and they would probably be very badly affected by an outbreak. But the possibility that we, you, living in a suburban or urban area, would be victims to a zombie apocalypse are slim to none. So don't go buying that bunker yet. Read about the Black Death: BBC. Scientists have developed multiple techniques for detecting viruses very quickly: Live Science. 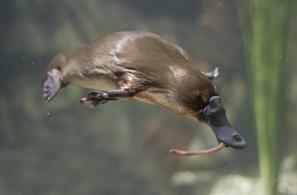 The platypus - you have seen it on "Phineas and Ferb" most likely. And we can't blame scientists for initially thinking this animal was a hoax. It is funny-looking to say the least. Better to be overly-cautious than too naive, right? Anyway, it is a real animal. It's a mammal that lays eggs (only 2 mammals do that). It is good on land and on the water. They shoot out toxic stingers from their feet... I mean, it is a wonder of nature for sure, an oddball but real animal. Learn more about it on National Geographic. 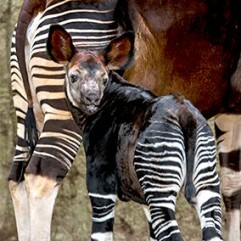 The Okapi - Is it a zebra crossed with a donkey crossed with a giraffe crossed with a deer? Nope. But it is a species all by itself. Native of Africa, a quiet and solitary creature, they are hard to find. Perhaps that's why scientists thought it was a myth. You can find out more about it on the San Diego Zoo Website. 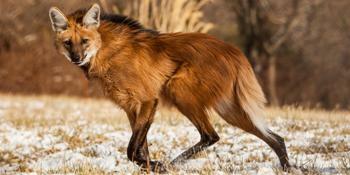 The maned wolf is not a fox, despite what it looks like. And it's not even a wolf, despite its name. It is a species by itself (again, one of those), a Chrysocyon. Native to South America, it is quite tall and slender (3 feet, 50 pounds), perfect for foraging its habitat and hunting. Learn more about them on Smithsonian's National Zoo Website. 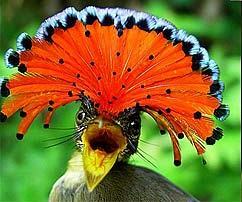 The Amazonian Royal Flycatcher sounds like an official title and looks like a very pompous being. This bird lives in the Amazonian rain forest (duh) and uses its very colorful crown to attract mates and fight other males for territory. Learn more facts about them on Fact Zoo. 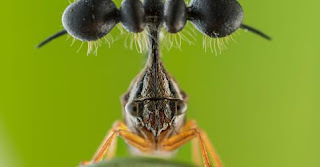 Find more incredible-looking real animals on these websites: My Modern Met and Animal Planet. Bonus: one fantastic beast that is definitely not real: The Unicorn. Are treehoppers the world's weirdest insects? National Geographic. Did you know these discoveries were made by women, not men? MSN. Ohh, where dinosaurs used to roam: NASA via MSN. Are dinosaurs still alive today? AMNH. NASA launched the first spacecraft built to carry humans: NASA.